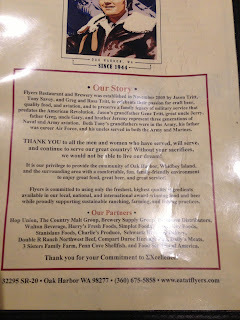 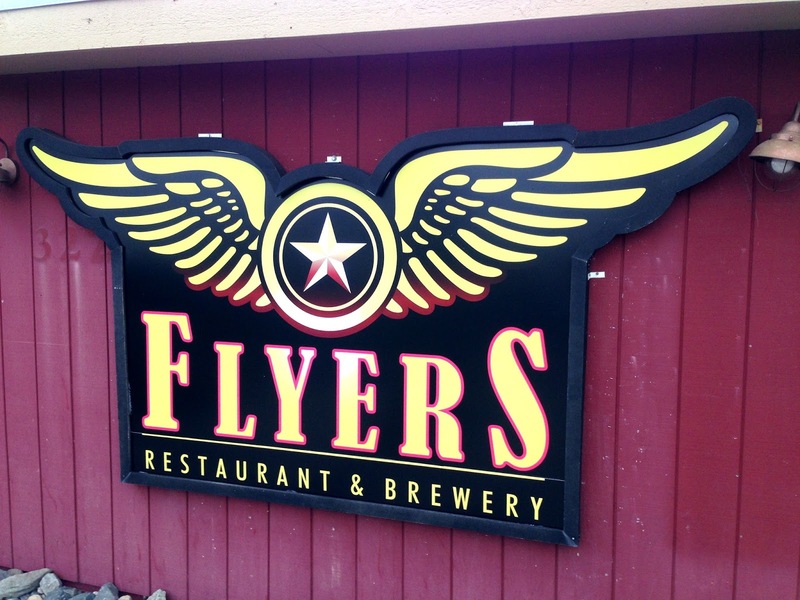 Flyers is a brewpub and restaurant in Oak Harbor Washington, toward the north end of Whidbey Island. 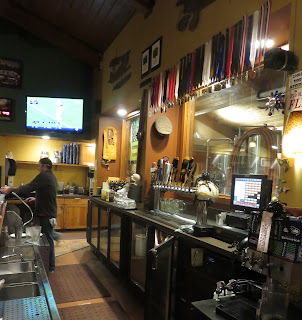 It has a large menu of old and new pub food choices -- steaks, sandwiches, wings, tacos, oysters, seafood, jambalaya, calamari, old fashioned pot roast. 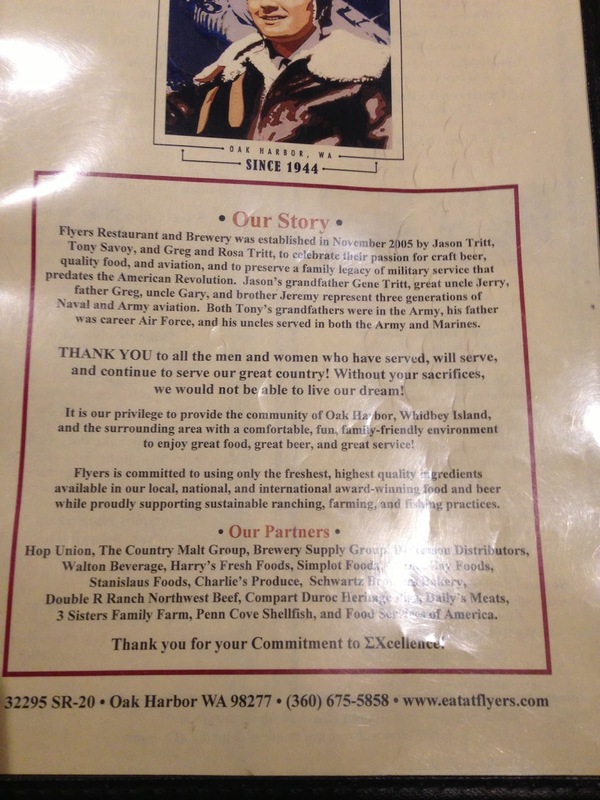 You could also choose the six pattie "Old 666" burger for $39 -- or free if you can finish it in 30 minutes along with a pound of frieds and 16oz drink. 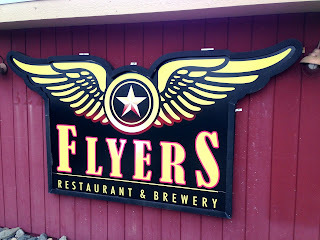 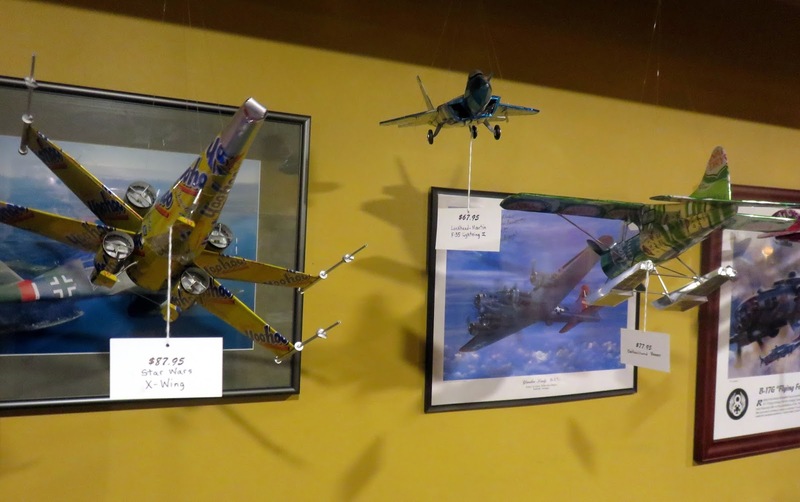 Flyers has a military theme and brew several award winning beers.